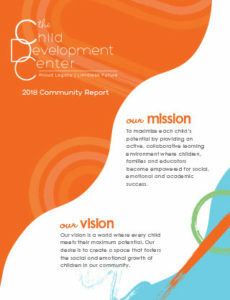 The CDC’s licensed afterschool programs operate on site for Pre K-5th grade students. Hours of operation are Monday-Friday from 2:57pm-6:00pm, open until 6:30pm at select sites. We offer an Extended Hour of Care for our Pre K students from 2:15pm-2:57pm. Teaching our kids moral and ethical values. Teachers mentor and serve as positive role models. Respect yourself, your peers, your teachers, and your school. Give kids a voice and ownership of their afterschool experience. Have a great attitude and try new things. Have an open mind and look for ways to improve. "We truly appreciate what the staff does with my child at this afterschool program. I'd also like to acknowledge the great leadership of Mr. Keoni and Ms. Melissa because it's reflected in the program." "Great program overall - plenty of physical activities that involve groups of kids or individual play. Also like options for arts and crafts and homework time. Convenience of being at the school is great." "We love the Clayton CDC teachers: Ms. Karen, Ms. Saima, Ms. Joan, Mr. Keoni, etc. It's so nice to see familiar faces when child-care typically has a high turnover rate." "All the staff are wonderful and Mr. David and Miss Jasmine have really stepped up to be superstars to our family! They both have been extremely helpful, always willing to help."